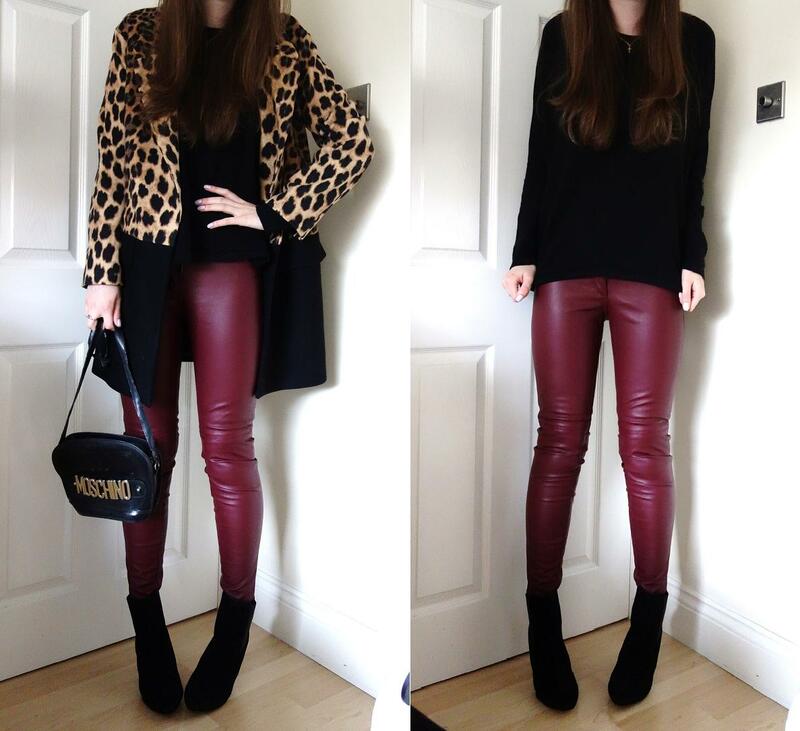 coated or leather look trousers are the future, i’m convinced of it. ever since i bought these in the H&M sale for £12, all i want is them glued to my legs. i’m desperate to get the black ones so may have to grab myself a pair next week when my student loan comes in. part of me also wants a lipstick red pair, just to be as tacky as possible, but i can’t find them anywhere (which is probably a good thing right?). i’ve also got my eye on the perfect pair of grey skinny joggers, you know the type: tight on the legs but slouchy at the top. if you’ve seen any please let me know! anyways, i have so much uni work to be getting on with (an essay and five articles for the 10th and two essays, two articles, a video and an audio piece for the 17th) but i have zero motivation to do any of it! all i want to do is read blogs and watch youtube videos, so if you know any good ones, particularly youtubers (the less ‘well known’ ones) stick their link in a comment please. ps. my £50 barratts shoes giveaway ends very soon, so click here to get yourself some new shoes! Next Post today: an outfit, a new video and my giveaway winner!